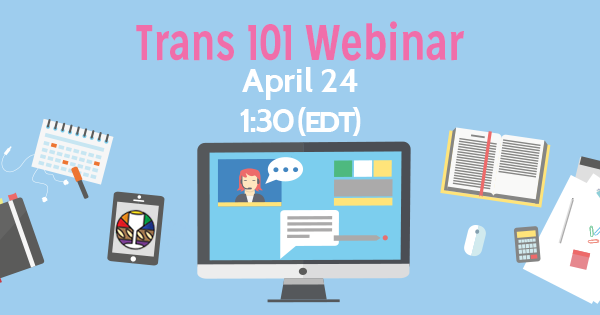 The Trans 101 Webinar will be hosted on Sunday, April 24. If did not sign up for the webinar, don’t fret! We are looking to host another session soon and are hoping record the webinar. Over the past few months there have been an overwhelming number of state legislatures specifically targeting trans* people in our communities. It is time we put our faith into ACTION! The webinar will equip participants to speak with more confidence and from a place of faith about transgender identities, how to speak to others as an ally to transgender people, how to speak with transgender and gender nonconforming people, and a brief overview of the “bathroom bills” being introduced across the country.